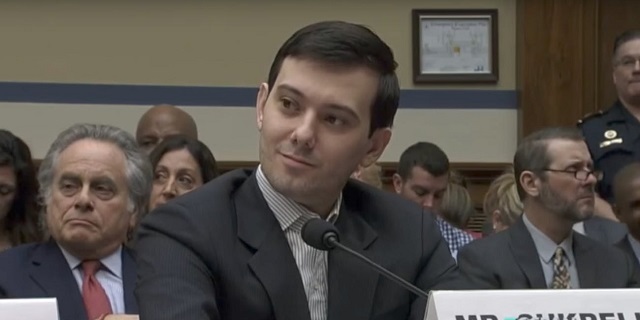 “Pharmo Bro” Martin Shkreli won’t be doing much shot-calling anymore. He was reportedly tossed into solitary confinement following a report last month that claimed he was still running his business from behind bars, according to a Forbes report Monday. The Wall Street Journal described in early March how Shkreli used a contraband cell phone to make decisions at Phoenixus AG, including firing his handpicked chief executive, Kevin Mulleady. Shkreli later allegedly agreed to make it a suspension. His alleged infraction is trying to run his business from prison. What next, is he going to file his own taxes?! Solitary confinement is a form of torture. While no one generally cares about murderers or violent criminals being subject to it, putting non-violent criminals in solitary confinement is sickening. The only reason Shkreli was locked up in the first place is because our overlords wanted some pleb to use as a scapegoat to atone for the sins of Big Pharma. Shkreli was hounded for raising the price of a rare drug (which insurance companies had to pay for) in order to fund research on developing a better drug. He gave away the drug at a discount or for free to people who couldn't afford it. He ran a small company, considering the industry, and this affected relatively few people. He was later brought up on totally unrelated charges, convicted of "fraud" and sentenced to seven years in prison. Even though none of his investors lost money, he was forced to issue a mea culpa and browbeat himself as though he was before a Soviet show trial. Meanwhile, the Sackler family reportedly knowingly lied about the addictiveness of their drug Oxycontin to get millions of Americans hooked on synthetic heroin for profit. "The Sackler family, who made tens of billions of dollars by getting Americans hooked on OxyContin, also looked to profit off treating the addicts they created." They made billions of dollars in the process and yet they're all sitting pretty and are reportedly exploring bankruptcy in order to keep themselves from having to pay off the millions of families whose lives they've ruined. As 2020 Democratic presidential candidate Andrew Yang said last week on the Jimmy Dore show, this family belongs in jail. While Martin Shkreli is being tortured in prison through solitary confinement the Sacklers are living free.